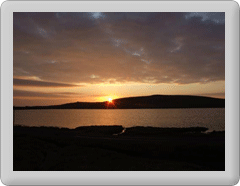 This site http://www.fetlar.org/ (“the Site”) is operated by or on behalf of Fetlar.org. When you view the Site, your visit and any disputes arising from it are subject to this Disclaimer, and our Terms and Conditions of Use. We have taken reasonable steps to ensure that the Website and all information provided on or through it is accurate. However, Fetlar.org assumes no responsibility for information contained on this Website and disclaims all liability in respect of such information. Fetlar.org are not responsible for the content of any sites directly or indirectly linked to or linked from any pages on this Website. If you consider any linked pages to be inappropriate, illegal or offensive please let us know by contacting us.